Early Life: Not much information about Warren is in the public domain apart from the fact that he was born to Swedish immigrants in Brooklyn, studied at the Naval Pre-Flight School at UNC, Chapel Hill and played American Football. It is difficult to be objective regarding an event of this magnitude, particularly because there are two very distinct sides to the story – one presented by the Indian authorities and the other presented by the corporate at Union Carbide. In the eventual analysis, though, the short straw was drawn by the victims and their next of kin. In the wake of the gas release, Union Carbide Corporation, and then chairman Warren Anderson, worked diligently to provide aid to the victims and set up a process to resolve their claims. The Bhopal plant was owned and operated by Union Carbide India, Limited (UCIL), an Indian company in which Union Carbide Corporation held just over half the stock. Shortly after the gas release, Union Carbide launched an aggressive effort to identify the cause. Engineering consulting firm, Arthur D. Little, Inc., conducted a thorough investigation. Its conclusion: The gas leak could only have been caused by deliberate sabotage. Someone purposely put water in the gas storage tank, and this caused a massive chemical reaction. Process safety systems had been put in place that would have kept the water from entering into the tank by accident. The Arthur D. Little (ADL) report and the Black Box book, both cite that sabotage was at the root of the disaster, however there are no efforts on display to bring the saboteurs to justice. The book actually insinuates that a worker called Mohan Lal Verma was the culprit, but fails to provide any conclusive proof, instead relying on Verma’s preemptive defence to hint at his being guilty. UCC insists that the Indian Government is well aware of who the culprit is, yet wants to make UCC the scapegoat. Plant maintenance was poor and safety standards were not adhered to – Several security hazards were detected in UCC’s plants in the US. These were rectified in the US, but the same modifications were not done in India. UCC disputes this. There is documented evidence to show that UCC consciously used unproven technology to save $37.68 per day. The safety hazards were written off as an acceptable “business risk”. Note that UCC justifies the technology in its FAQ section. The settlement award was much larger than any previous damage award in India, and was $120 million more than plaintiffs’ lawyers had told U.S. courts was fair. The settlement was reached after the Supreme Court of India reviewed all U.S. and Indian court filings, applicable law and relevant facts, and an assessment of the victims’ needs. In its opinion, the Court said that compensation levels under the settlement were far greater than would normally be payable under Indian law. By November 1990, the Reserve Bank of India reported that the settlement fund, with interest, was approximately twice what was estimated to be needed to compensate the victims. This part is really sickening and the Indian Government has an equal share of the blame, if not more. The average payout for the survivors is 5.7 cents per day. The lumpsum settlement figures were Rs. 25,000 for injury and Rs. 62,000 for a death. Even if these figures were not in Rs but in US $ they would have been abysmal. Contrast this with the lawsuit against the tobacco industry where the tobacco giants had to cough up US $246 billion. Something is definitely wrong with this picture. UCC also insists that it has done the site cleanup along with UCIL and states that as far back as 1998 a study conducted by the Madhya Pradesh government conducted a study of drinking water in the vicinity indicated pollutants that could get added to the water due to improper drainage systems. And in November 2008 the US Court of Appeals for the Second Circuit reversed a dismissal of pollution claims. Here is hoping that UCC’s current owner Dow Chemical actually does the cleanup. UCC’s whole pitch makes it sound like the Indian Government is the main culprit and is trying to make it a scapegoat. But the fact is that several independent bodies like Greenpeace and Amnesty International have been lobbying actively against it without any pressure from India. On 7th December 1984 Warren Anderson traveled to Bhopal. He was promptly arrested, though later released on bail. And his response? He jumped bail and fled to the US on a chartered plane and never returned to India. Note that UCC claims that he was initially placed under house arrest, then urged by Indian authorities to leave the country. Anderson subsequently avoided trial and extradition of all forms. He has never appeared in court to face charges for crimes in Bhopal or even to explain why his company did not apply the same safety standards at its plant in India that it operated at a sister plant in the US state of West Virginia. The main reason attributed to a lack of extradition was due to vested interests of the Indian Government, which wanted to encourage foreign investment in the country. That is why neither the Indian government nor the US government pursued the extradition actively, claiming that he went missing, whereas The Mirror, a UK-based newspaper smoked him out in a matter of weeks in 2002 and Greenpeace followed up quickly. Nothing has been done since then to bring him to justice. Even according to the former Attorney General of India Soli Sorabjee there was no point in pursuing an extradition against him so late in the game, because of his advanced age and the fact that the crime was almost 20 years at the time. Contrast this with the handling of Kenneth Lay in the Enron case, where the US government was unwilling to agree to an abatement even after Lay’s death. In the same case Jeffrey Skilling got handed a 24 year sentence. In other words, a corporate scandal that causes monetary loss to people gets you a bigger punishment than an act of corporate negligence that manages to kill several thousand people. The Indian Government, Dow Chemicals and the US Government, all have a hand in aggravating this situation. The Indian Government has been instrumental in slowing down investigation, displaying a lack of transparency and delaying the disbursement of funds to the affected people. Dow is notorious for its poor environmental track record. For the largest chemical manufacturing company in the world, it has done little to clean up after its act (Source: Greenpeace). More bald has been its complete refusal to be associated with the Bhopal disaster after the acquisition of UCC. Dow claims that all that had to be done has been done by UCC and that there are no liabilities on its side. The US Government has been complicit in not going through with the extradition. The request was with it since 1992, yet 17 years since then nothing has happened. 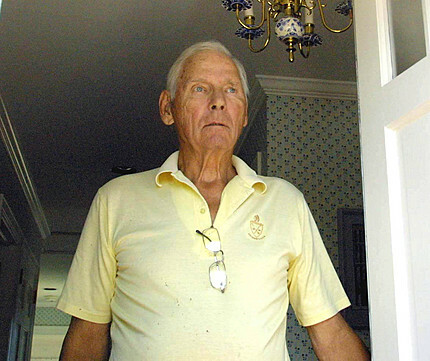 Warren Anderson currently lives a life of luxury at the Hamptons, NY, while the people whose lives his company was responsible for savaging still fight for justice. All in all the indifference towards the people of Bhopal reeks of the power of money. A cruel but fitting sentence would be for Anderson not to be arrested, but to spend his last days at the site of the disaster doing community service in the midst of the people his company affected. If, as UCC claims, the site is clean, then he shouldn’t be having any objections towards this arrangement. I came across this very interesting article regarding Warren Anderson’s attempts to disappear into oblivion.